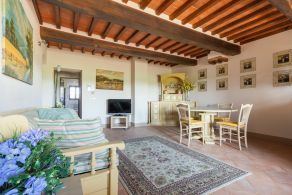 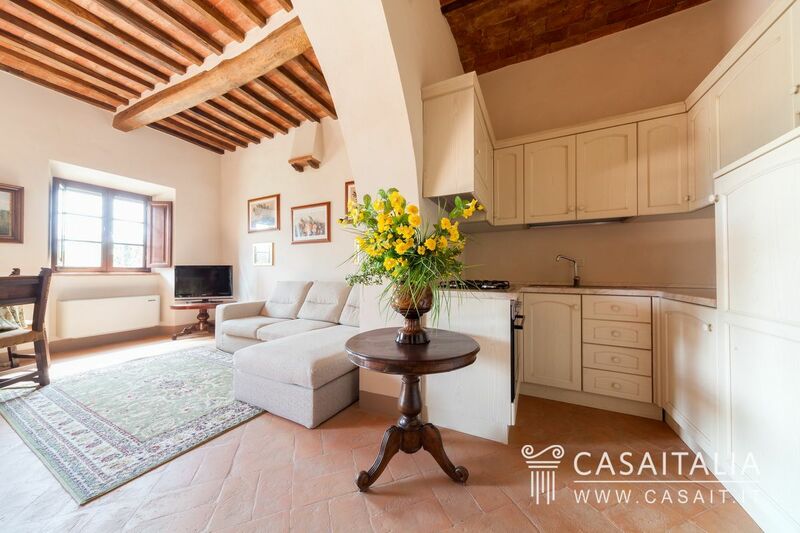 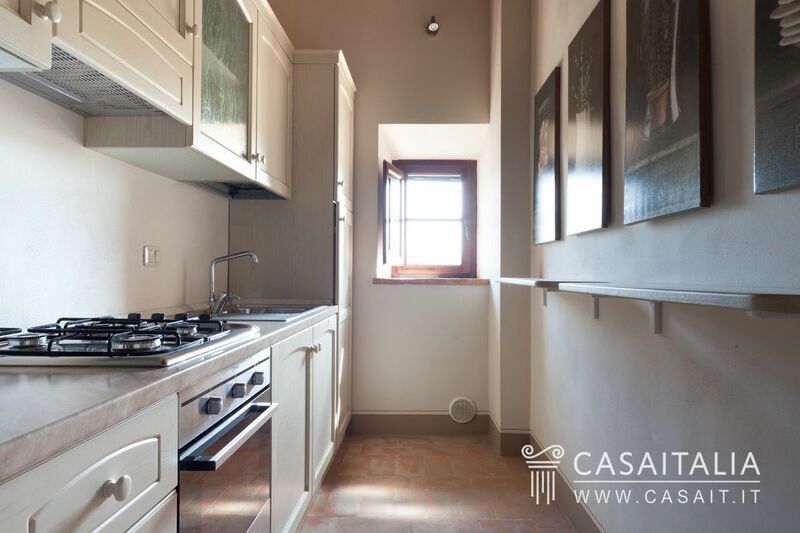 5 minutes from the center of Cortona, in a typical Tuscan farmhouse nestled within the verdant landscape, are 2 independent apartments. 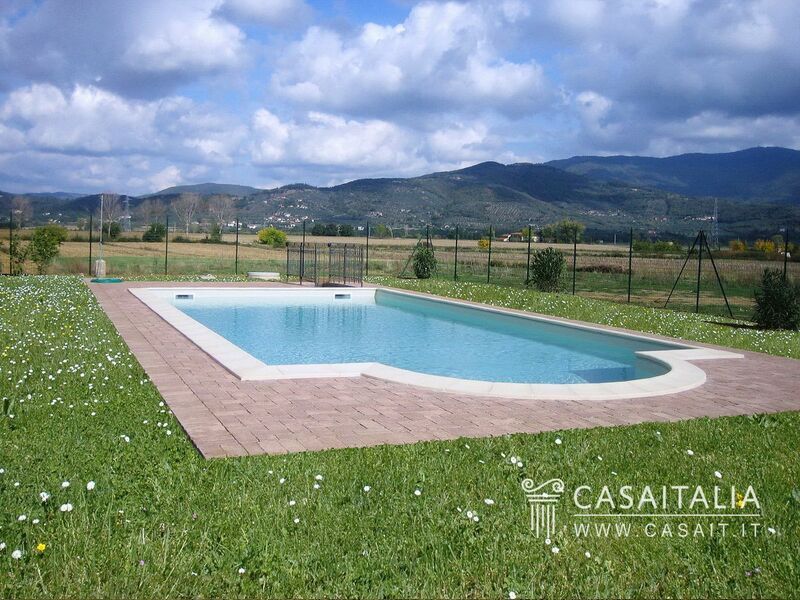 A charming refuge with garden and swimming pool, this is an ideal investment or holiday property. 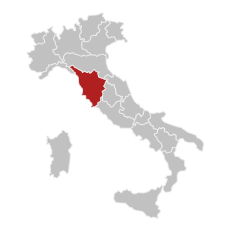 Cortona, 600 meters above sea level dominates from high, a city of art with Etruscan origins and a tourist hotspot, and the backdrop to Festivals and cultural events. 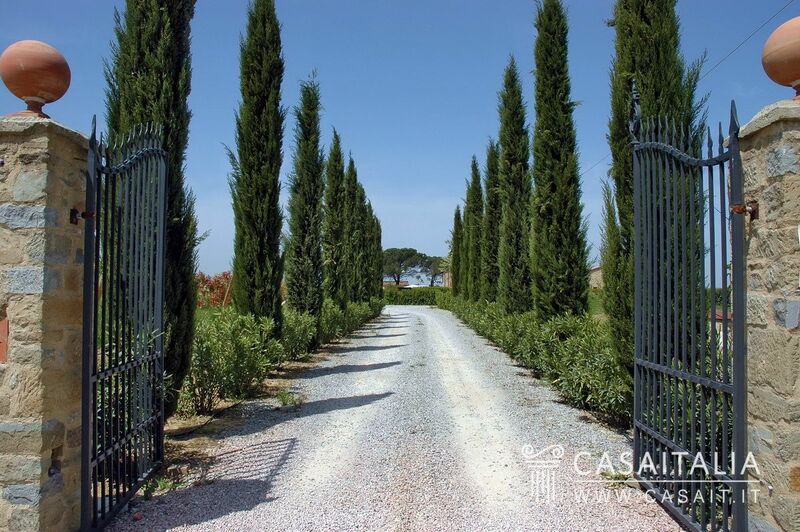 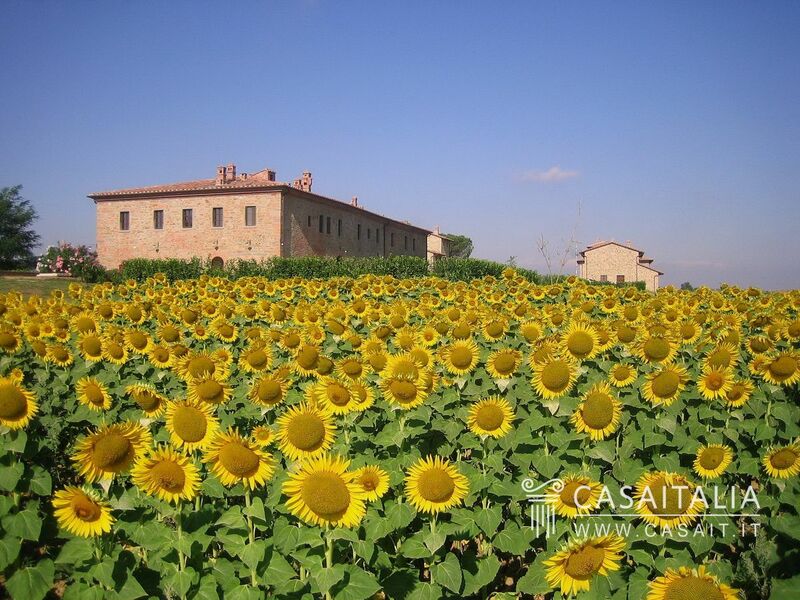 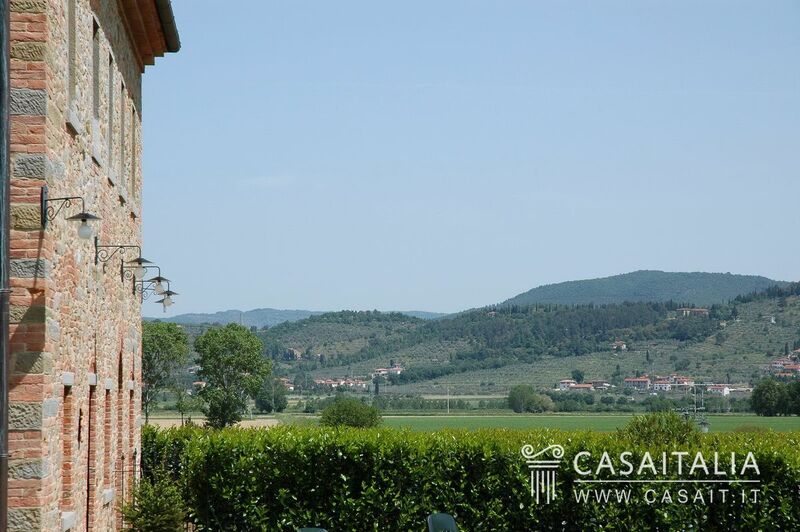 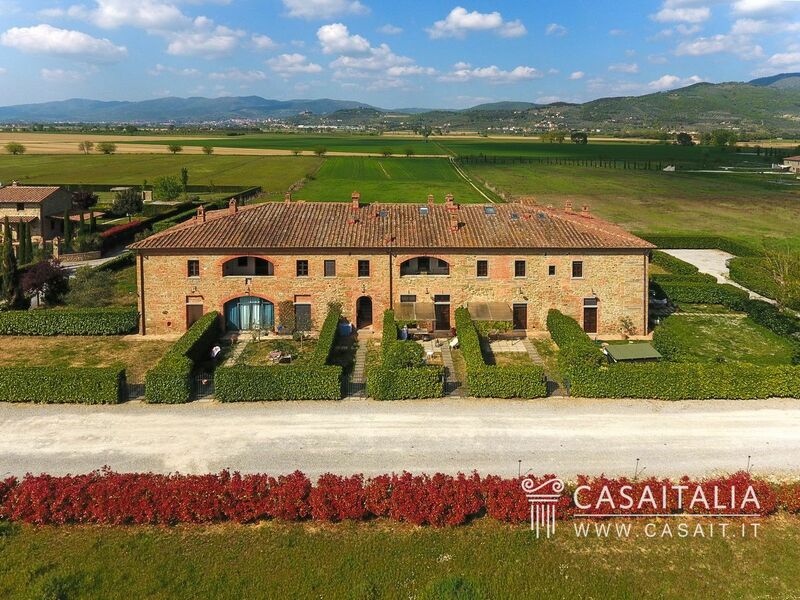 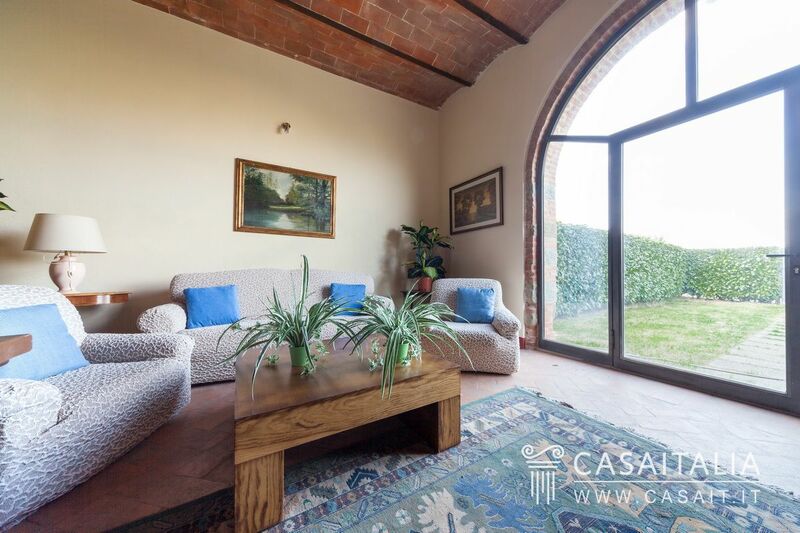 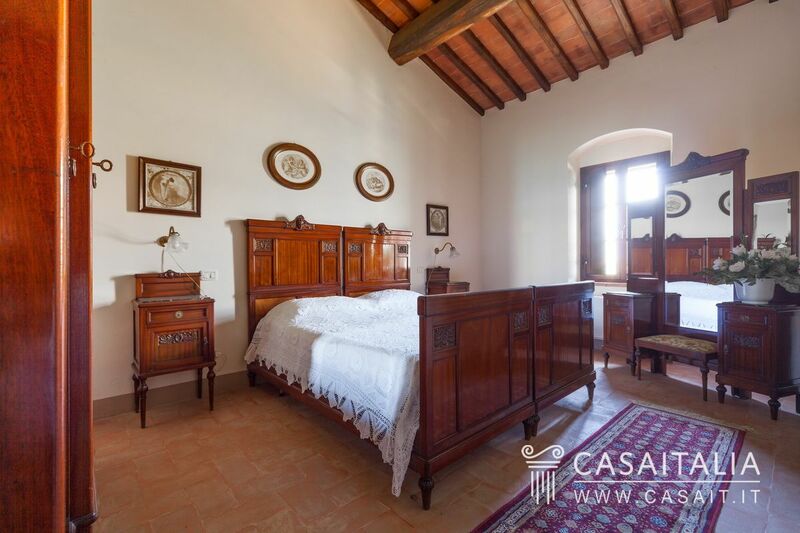 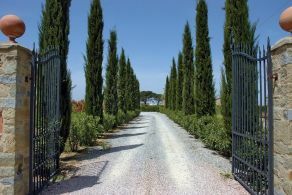 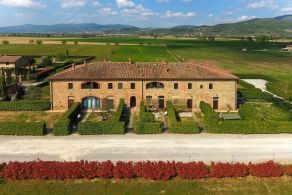 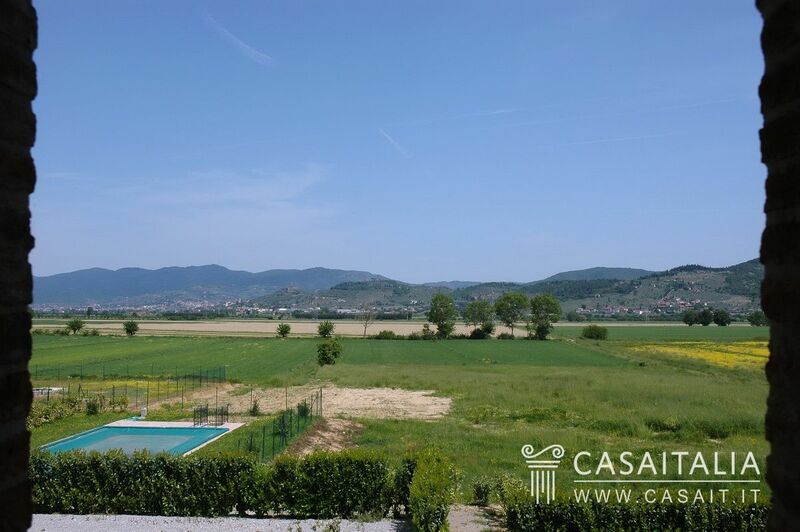 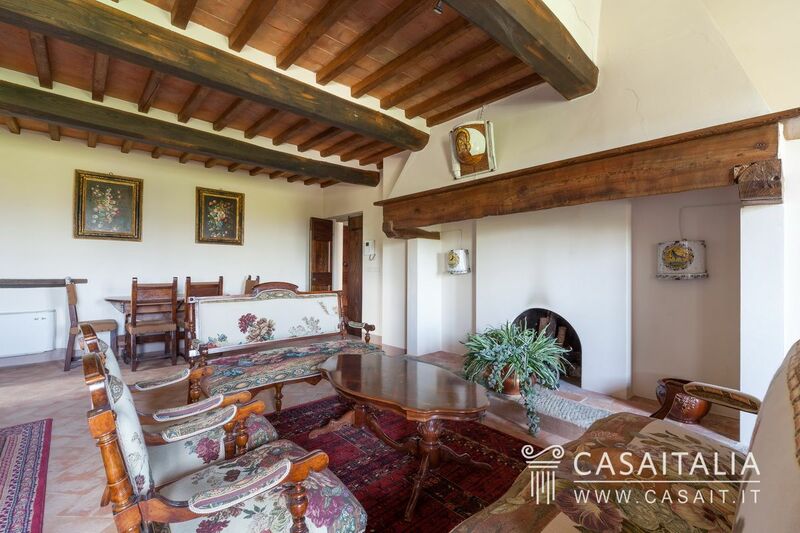 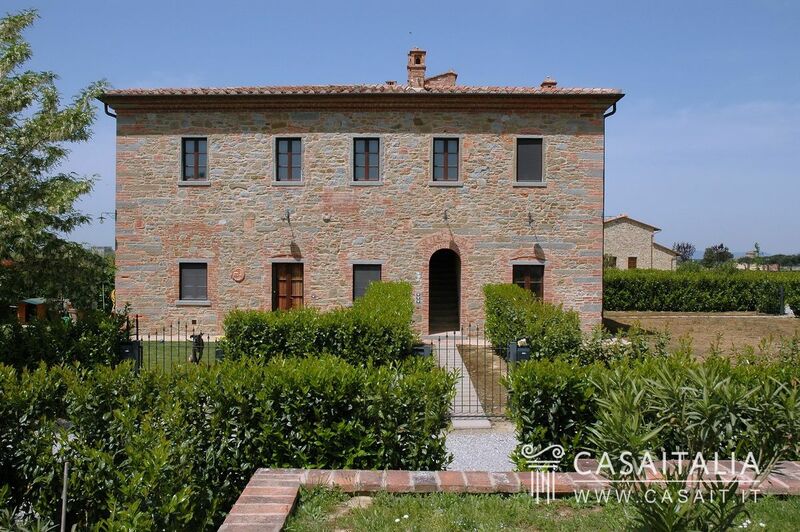 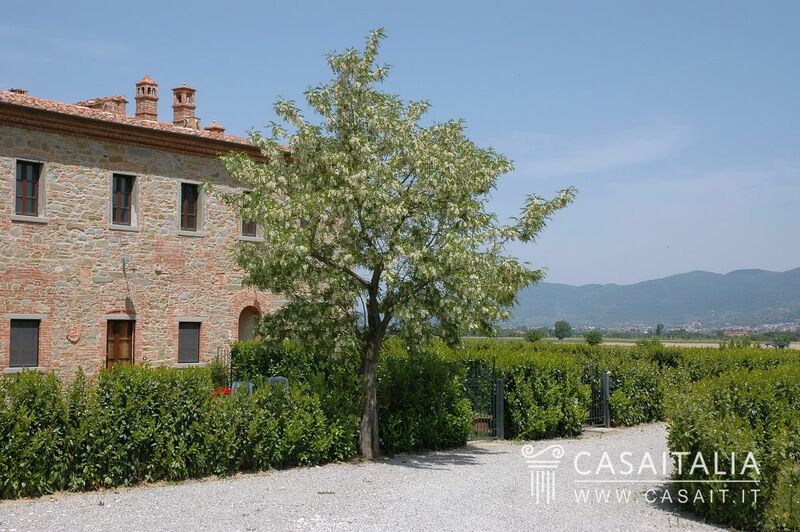 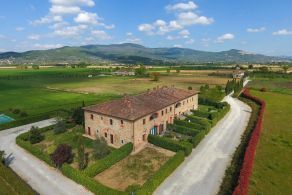 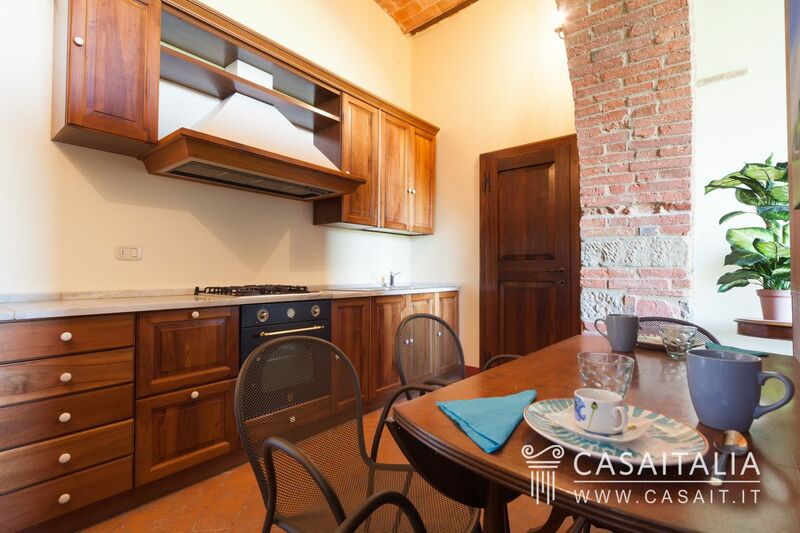 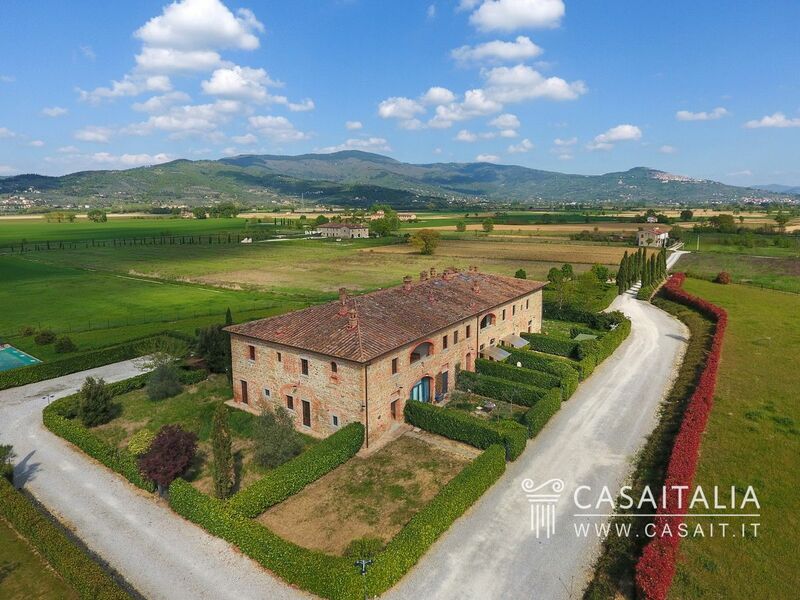 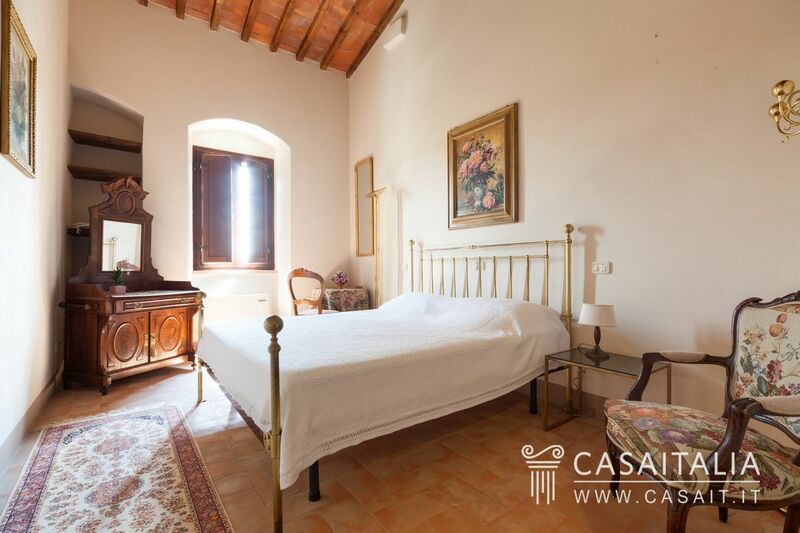 It is easy to reach famous cities and sites in central Italy such as Florence, Siena, Perugia, Pienza, Montalcino, Assisi, Lake Trasimeno, and Orvieto from this farmhouse, strategically positioned on the Tuscan and Umbria border. 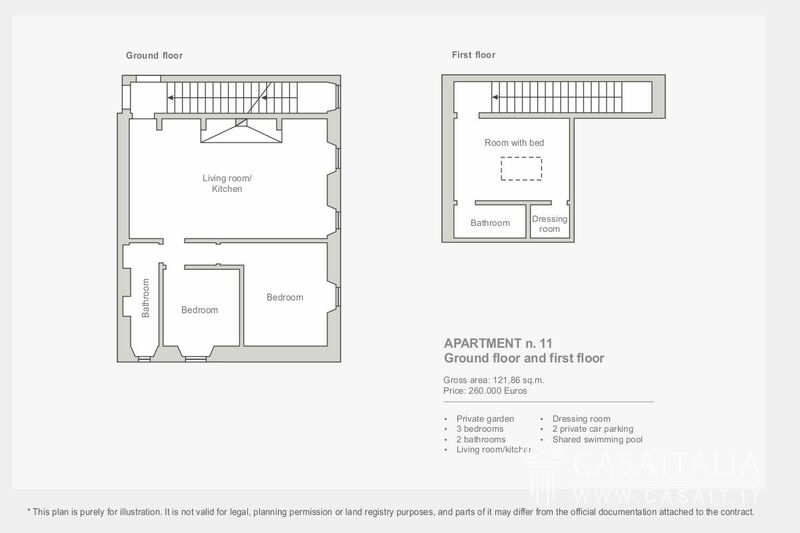 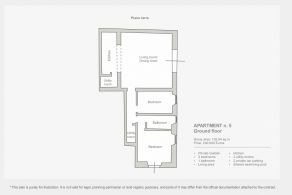 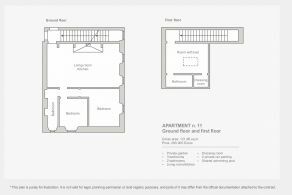 The apartments measuring from about 102 to 121 sq.m. 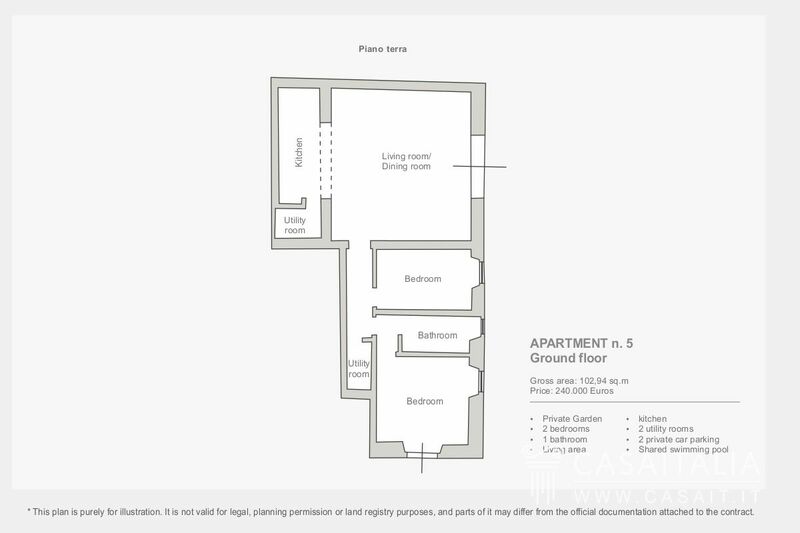 are available with living area, kitchen, two bedrooms and one or two bathrooms. The interiors are cozy; the rooms often face out to characteristic verandas giving access to the outdoors offering an amazing view of the surrounding panorama. 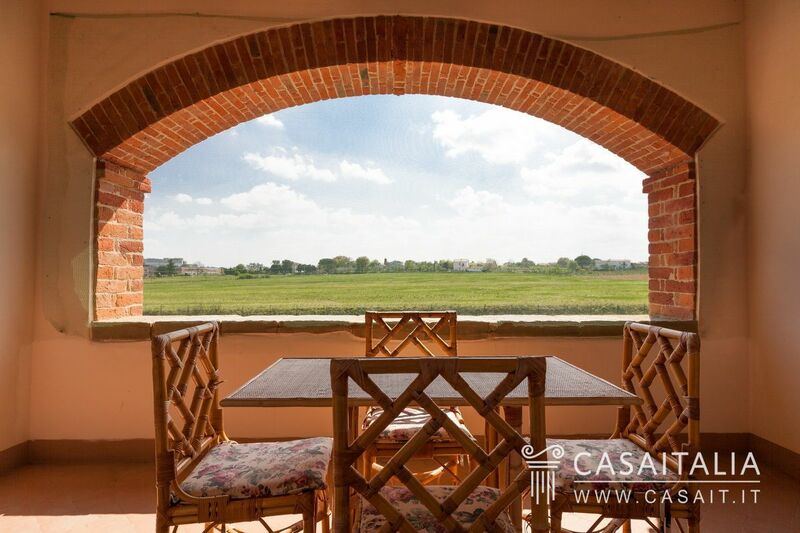 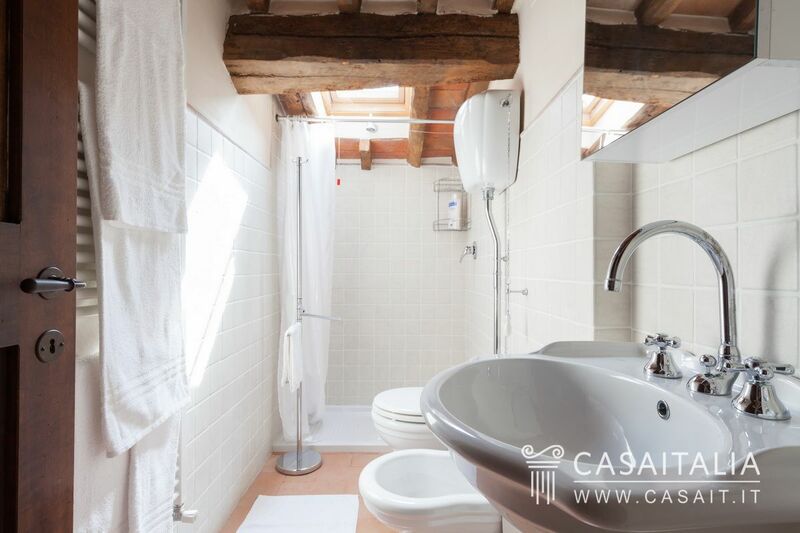 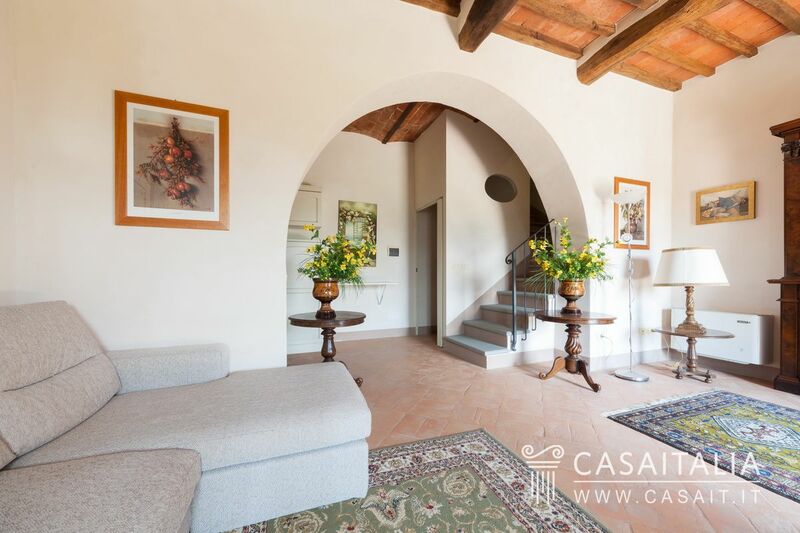 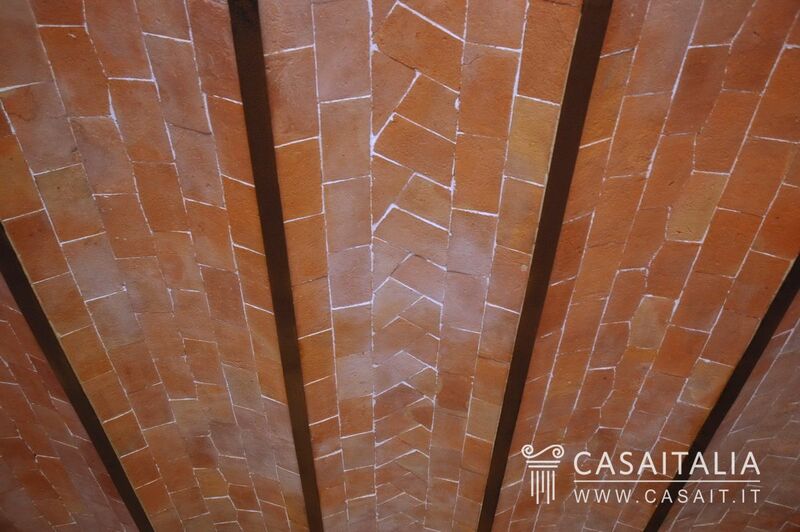 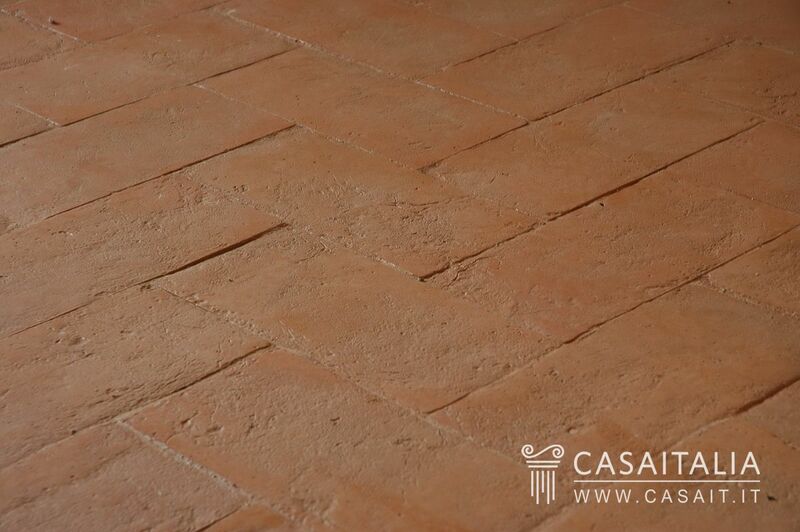 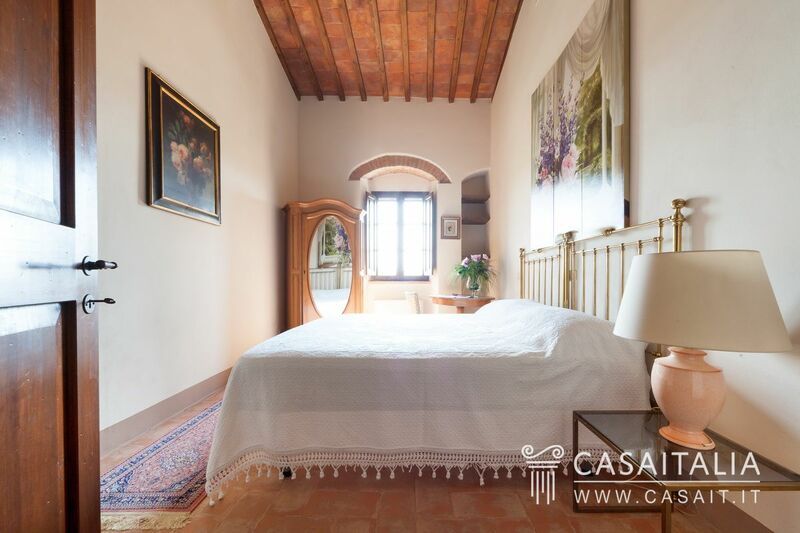 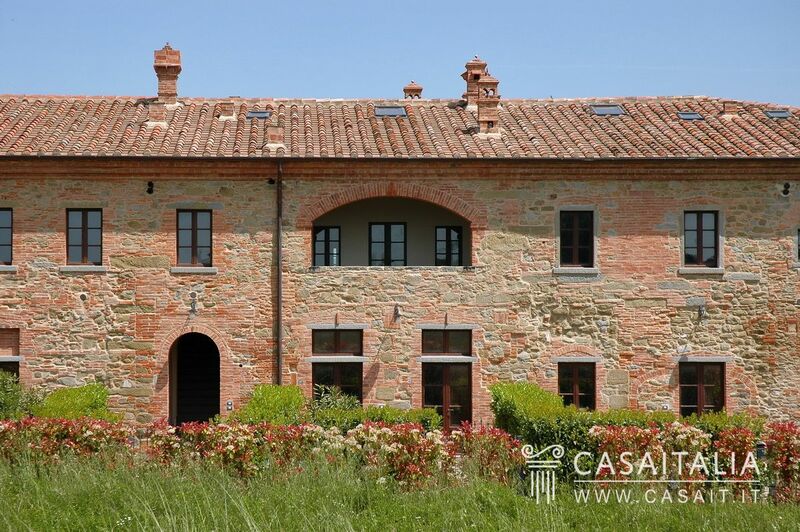 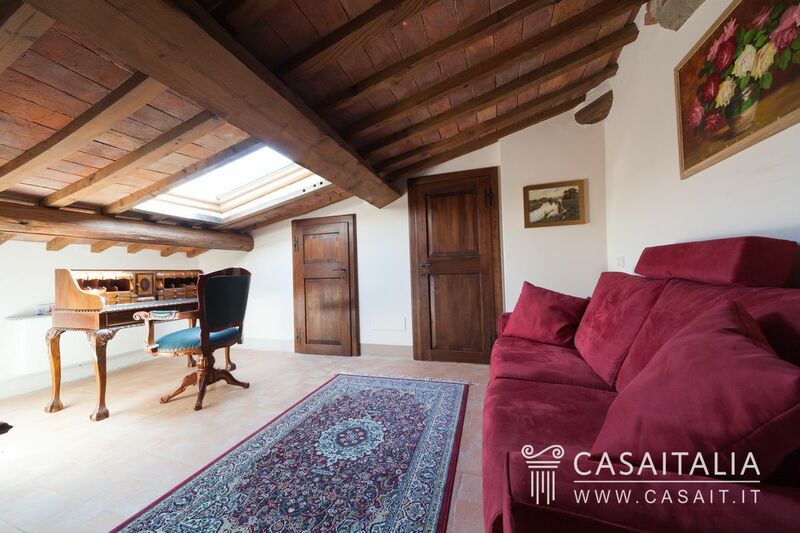 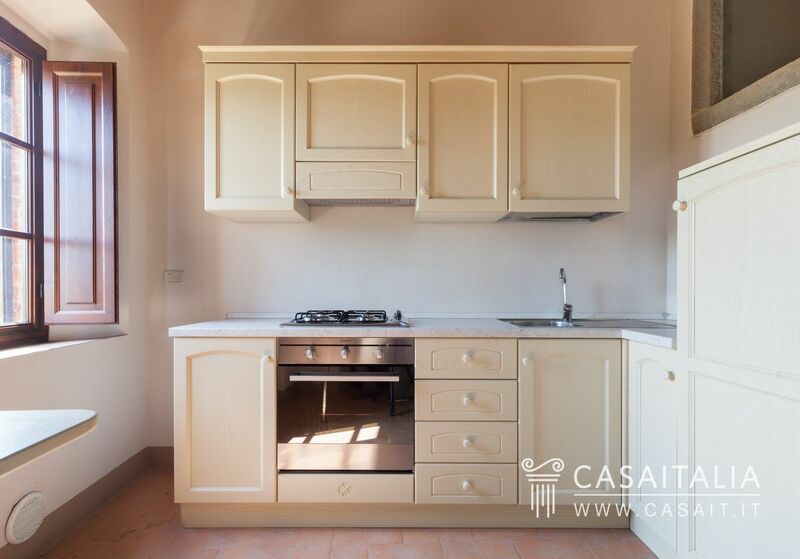 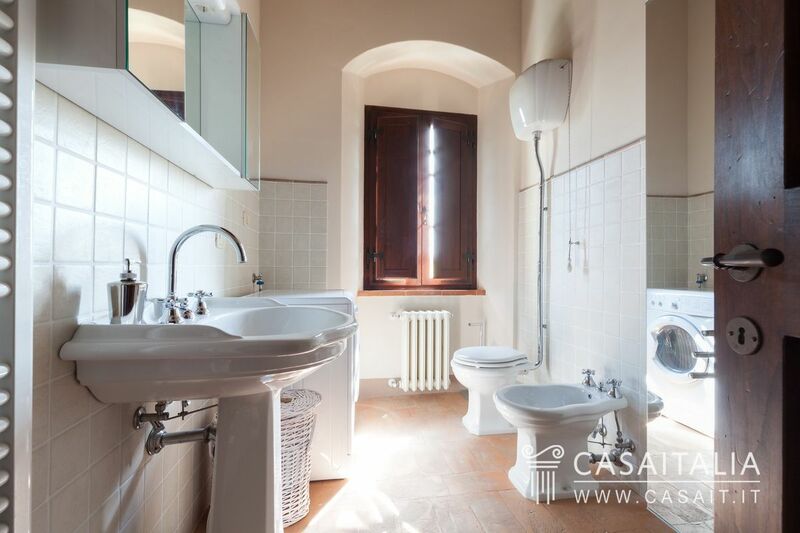 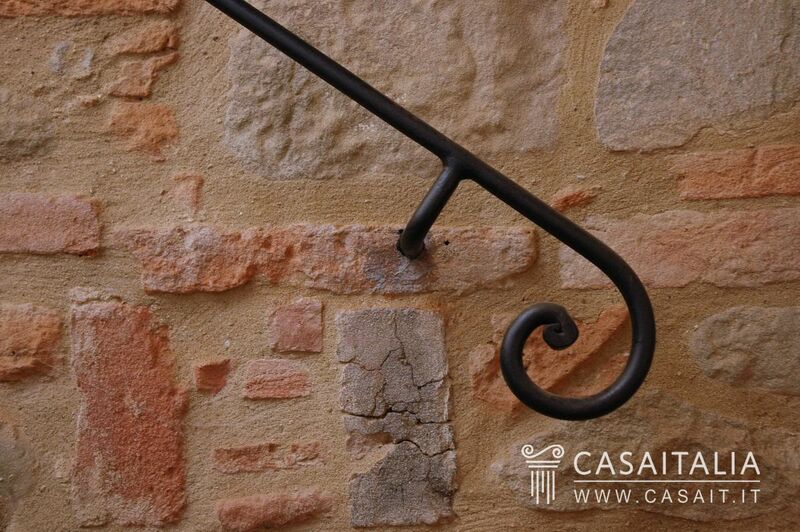 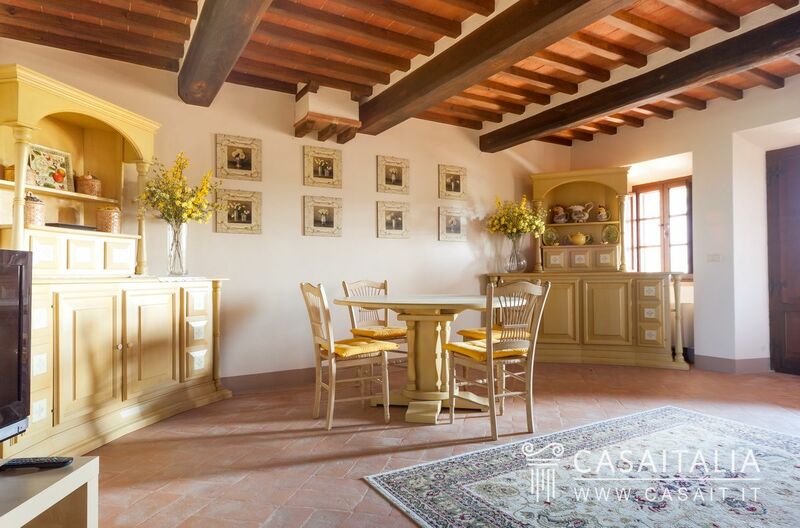 The complex has been finely restored with quality materials, respecting Tuscan traditions. 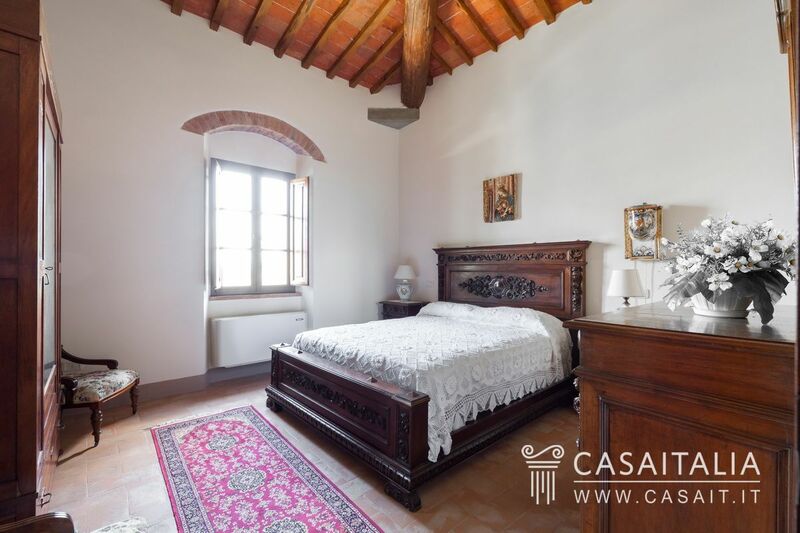 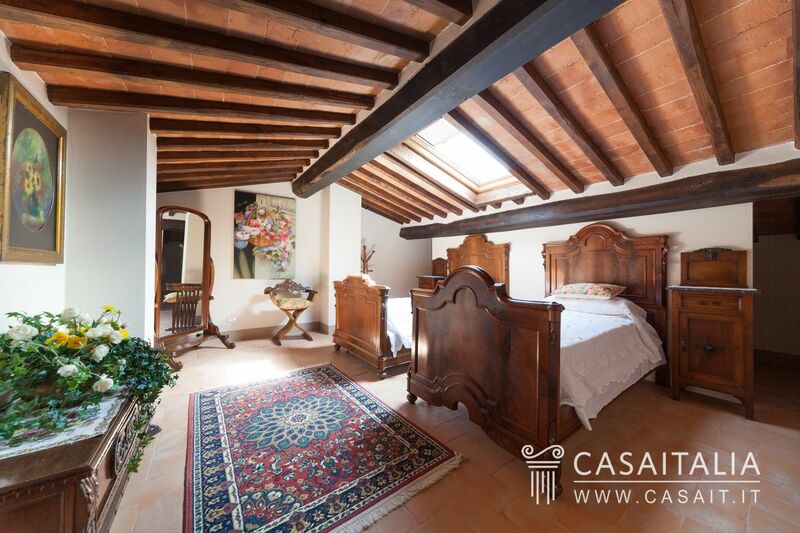 The original elements have been maintained where possible: handmade cotto floors, wood beam ceilings with original tiles, and solid wood doors and windows. 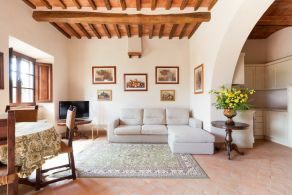 Management of the property is facilitated by personnel who care for the shared spaces, and for the highly touristic setting, the apartments are in an ideal location for a holiday getaway or a rental apartment.